Seoul, South Korea is the capital of the Republic of Korea and is one of the largest cities in the world. It’s also a major business and tech center. Half of South Korea’s 50 million people live in the greater Seoul area. 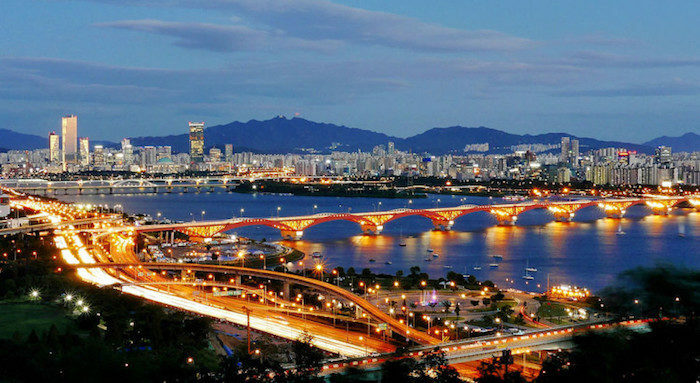 The city is situated on the Han River, which divides Seoul into north and south sections. 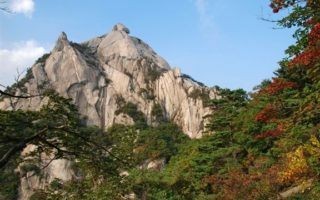 Seoul is surrounded by eight mountains, four of which are in central Seoul. 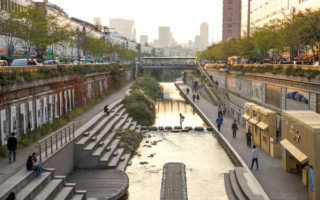 There’s good running in Seoul, but due to the city’s size and density, plan where you stay and will likely use the excellent transport system to get to a ‘spot’. 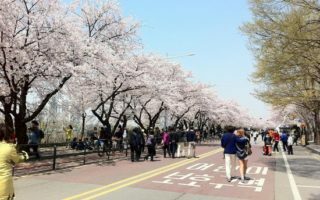 The highlights include the many paths and parks along the Han River, and Namasan, one of four mountains in central Seoul and the best for running. 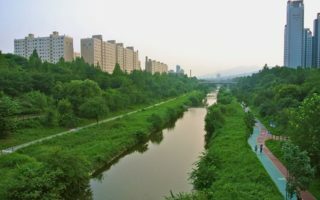 The ‘five parks’ of World Cup Park, Yongsan Family Park, trails around Olympic Park, and trails near Yonsei University, including Ansan, are also great for running. 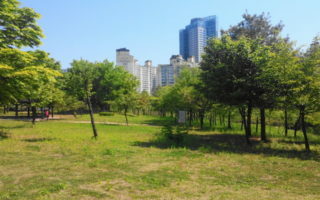 There are also excellent paths for running along Cheonggyecheon Stream and the Yangjaecheon Stream Trail. Seoul has a great transport network, with 9 subway lines and an extensive light metro, and commuter rail, and KTX high speed train system. The subway will get you to just about all of our routes. 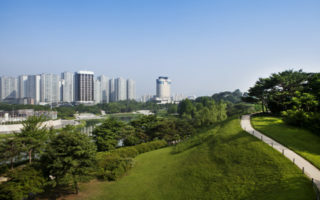 The paths along the Han River (Han-Gang) are one of the most popular running spots in Seoul. A wonderful greenbelt, with various loop options involving the bridges and great river views. South side is a seamless 5k. Large park on the river, with several km of paths for walking and running. 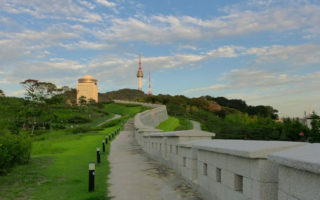 The park has several sections, including an area near the National Assembly. Gorgeous cherry blossom trees along Yunjunro Street in spring. 900-foot high South Mountain is an oasis of green, right in the center of Seoul. About 10 km of paved paths, including 2k climb to the summit, quite steep. Great views from the top. 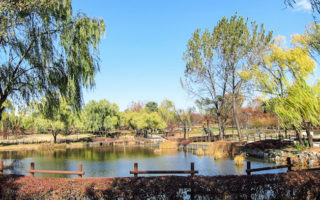 Pleasant, centrally located park with several km of paved paths, a large field, and a pond. It's 4.5k runner's loop around the perimeter. 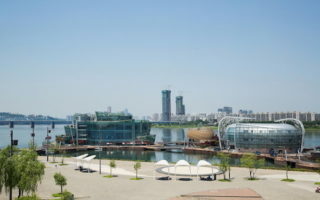 Great to combine with Han River path, just to the south. 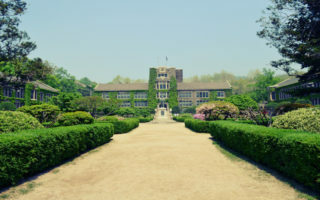 National Museum of Korea is in the park. Five interconnected parks, with miles of trails - in forests, along the river, fields, and more. A highlight is Sunset Park, with 291 stairs, and great views. Site of 1988 Summer Games and now a major sports and recreation complex. There are five different walking/jogging trails, of varied terrain, ranging from 1.3k to 4.3k. The second largest palace in Seoul, located east of Gyeongbokgung Palace and the famous Bukchon Hanok Village. The "Secret Garden" has nearly 80 acres of trails and is open to the public. The place is heavily visited, so best to go early. A hilly run with rewarding views of the city from the summit. It’s one of the better options near the city to get some trail running in. The route to the summit, "Beacon Mound", is about 3 km from the Great West Gate. Very pretty university campus with older buildings and pleasant running paths, at base of Ansan Mountain. There are also wooded trails and a forest park on campus. Can combine with Ansan trails. Good running on waterside bike path from Gwacheon to Gangnam. It's about 7 km one way. Much of the trail is below or away from the road, making for a pleasant canopy. Follows Budong line. Nearly 11 km path, part of a major urban renewal project opened in 2005. Great spot to walk or run through the heart of the city. Much of the path is below the roadway, passing under 22 bridges, starting at the large Cheonggye Plaza. A large national park that is unusually close to a major city. Great for hiking, with wooded trails. Some are excellent for trail running. 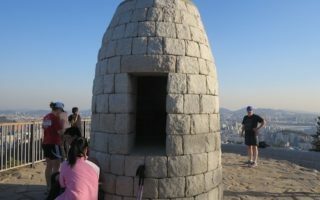 A run/hike to the top of Bukhansan Mountain is a great challenge. 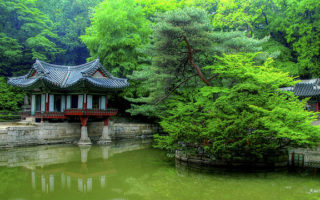 Seoul has a continental sort of climate, with cool to cold winters and hot, humid summers. The best running seasons are spring and fall. In spring, enjoy the gorgeous cherry blossoms, and in fall, some of the mountain parks are a particular treat. Winter temps can be well below freezing, with average Janaury highs of 0C, so bring layers and be prepared for some icy terrain, although the important cycling/pedestrian paths are kept clear. Winters are generally dry. In summer, it can be hot, with average highs near 30C, so run early and hydrate. There’s also a fair bit of rain in summer, brought mainly by East Asian Monsoon downpours. July and August tend to be quite cloudy. Many of our routes in the city are well lit at night. Seoul is a huge city, and there are hotels interspersed all over. Make sure you stay close to a subway, making it easy to get to one of our recommended running spots. There are plenty of spots in Seoul to buy running gear. Most stores are outposts of running/athletic wear companies: Asics, Puma, Reebok, and so on. See map on city home page. Group runs aren’t as common from Seoul running stores. Best bet is to join one of the running groups as a guest. Seoul Flyers running group has group runs. The Seoul Southside HHH run Sundays at 10 a.m. from the front of the KFC at Itaewon Station. Seoul Marathon/Half Marathon (March). Out-and-back along the Han River. Dong-a-Seoul Marathon (April). Biggest race in Seoul where the tour-of-city course attracts world-class runners.